Meet The Romanian Woman Who Re-dubbed 3,000 Western Movies - In Her Spare Time! | Warped Factor - Words in the Key of Geek. Meet The Romanian Woman Who Re-dubbed 3,000 Western Movies - In Her Spare Time! What do you do in your spare time? Irina Margareta Nistor is Julia Roberts, and Michelle Pfeiffer, and Kim Basinger... and Chuck Norris! 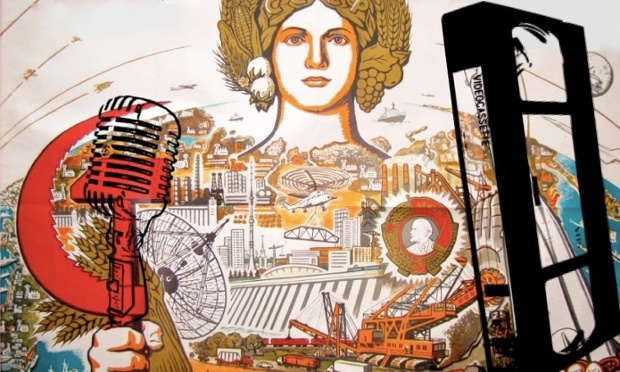 Our friends at Matinée Multilingual take a trip to 1980s Romania. By the end of the regime in 1989, thousands knew her voice, but no one knew her name: Irina Margareta Nistor. Having worked as a translator for the regimes television station (where approved titles were broadcast), Nistor worked hard in her spare time, translating titles that are now estimated to be in the thousands – often without having ever seen the film beforehand. Dictator Ceausescu regulated films coming in from the West – especially America – on the basis that he did not want Romanians to be discouraged or demoralised by the luxurious conditions in which other people around the world lived. Nistor was drafted by film pirates in 1985, and worked flat-out to produce Romanian voice-overs until the regime ended in 1989. Over those three years of work, she blindly translated 3,000 films. It doesn’t take a mathematician to guess the incredible rate at which she worked. Whether she was dubbing an action film or a romance, Nistor’s high-pitched, unaltered tones quickly became recognisable as the voice of Julia Roberts, of Jodie Foster, of Chuck Norris, or Jean-Claude Van Damme – even if nobody would be able to name her. A documentary about Nistor's work, ‘Chuck Norris vs. Communism,’ was released in 2015, and she is still active in the Romanian voice-over and film industry today, hosting film festivals and television programmes about media during the communist period for television stations across Europe.